The redwoods in the Grizzly Creek area were what inspired Owen R. Cheatham, founder of Georgia-Pacific Corporation, to preserve this site in perpetuity. 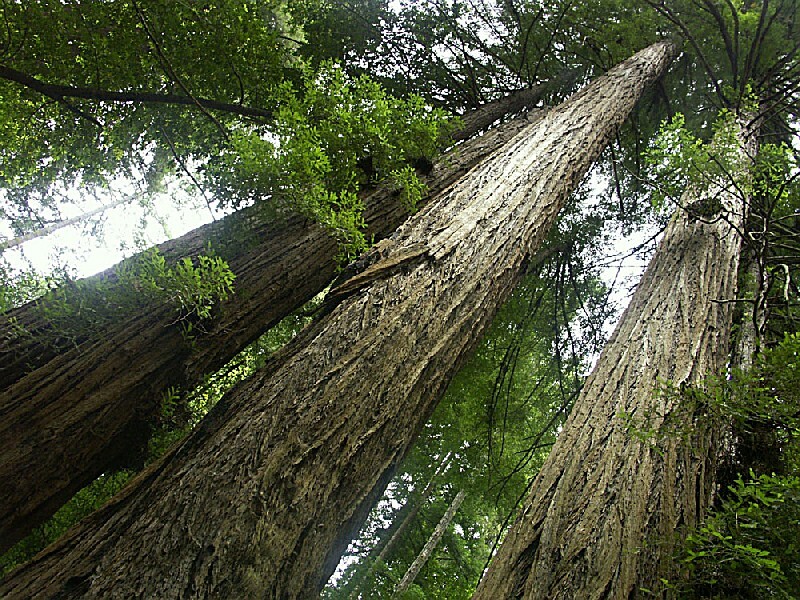 The Cheatham Grove is an exceptional stand of coast redwoods. The park is a quiet place to camp, hike, fish, swim and picnic. The Van Duzen River flows beside the campground. Although Grizzly Creek Redwoods State Park covers only a few acres, it is large enough to provide a sense of seclusion, and it receives so few visitors that on a weekday it is possible to be the only person in one of its groves of coast redwoods. Victorian village of Ferndale and Ft. Humboldt to the north. Humboldt Redwoods SP with Avenue of the Giants to the south, Ruth Lake to the east. One of the smallest of California?s coast redwoods state parks, Grizzly Creek is also farthest from the coast?nearly 30 miles. Its location far from Highway 101/Avenue of The Giants tourist route, means few visitors discover the park?s 300-foot redwoods or the six short trails that visit them. The park is tucked in the Van Duzen River Valley, where Grizzly Creek meets the Van Duzen River. This locale may be remote, but ﬁlmmaker George Lucas found one of the park?s virgin redwood groves so appealing he used the location in his Star Wars sequel, Return of the Jedi. The park is located on Highway 36, a remote byway that links such out-of-the-way places as Mad River, Forest Glen, Wildwood and Beegum as it winds through the forest from Highway 101 to Interstate 5. So remote is this road, that it?s difﬁcult to believe that until 1918, before the completion of 101, this little road was the major route of travel between San Francisco and Eureka. The park?s fern-lined trails meander among the old-growth and second-growth redwoods. A nature trail interprets local ﬂora. During summer, the low water level permits installation of a footbridge across the Van Duzen River. The bridge gives access to 1.25 mile long Memorial Trail which loops through the forest. From Devil?s Elbow, a bend in the river, hikers get a good view of the river and the park. The park is 20 miles southeast of Eureka on HWY 101, then 17 miles east of HWY 36. Latitude/Longitude: 40.4842 / -123.9056.